Oh My Goodness! 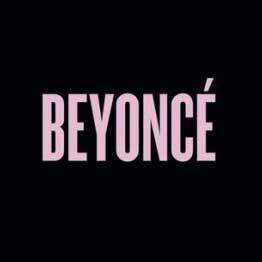 There’s a New Beyoncé Album!!! I am in shock y’all! Complete and utter shock! Late last night or early this morning (depending what time zone you’re in) Beyoncé released her surprise new album titled, wait for it, Beyoncé!!! I love to get my beauty sleep so I turned in early last night, but when I woke up and heard the news it felt like it was Christmas morning. My reaction can be best summed up in this Tina Fey GIF. Not only does Beyoncé’s new album Beyoncé have 14 songs, it also includes 17 videos. Because she’s the greatest woman to ever walk the earth, Beyoncé was kind enough to include 30 second snippets of the videos on her YouTube page. I’ve barely had a chance to listen to the album or check out the videos because I’ve been so busy freaking out, but the song I’m most looking forward to might include the greatest guest appearance of all time. No, I’m not talking about Jay Z or Drake or Frank Ocean (all of whom appear on the album), I’m referring to the one, the only, BLUE IVY!!! I should probably wrap this up so I can spend the rest of the day listening and watching the album and then calling my identical cousin Idol so we can scream about how it’s the greatest day of our lives! Have you had a chance to listen/watch Beyoncé? If so, what are your impressions? Let us know in the comments below! Daily Roundup: Party in the NYC … ON THE NYE!! !